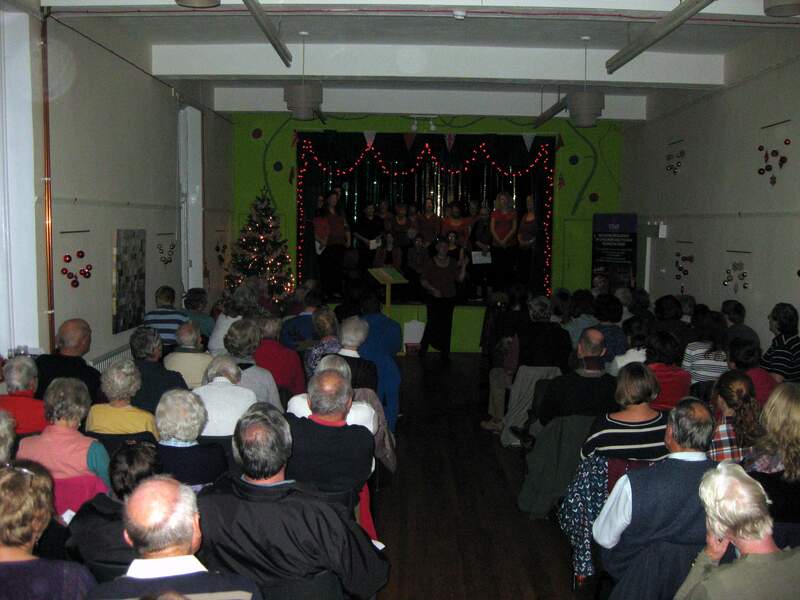 A huge THANK YOU to all who supported Carols by Candlelight, the first event run by our Community Choir. 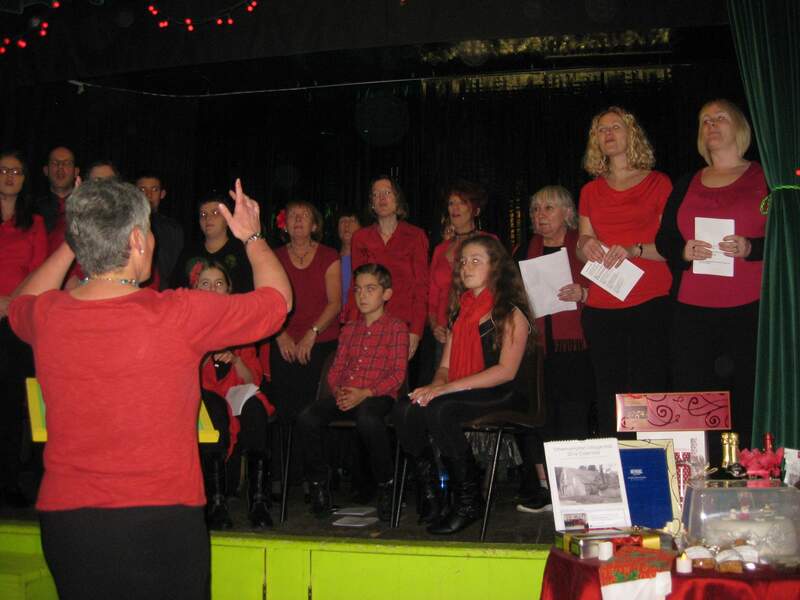 91 people joined us to share Christmas music, drinks and mince pies. 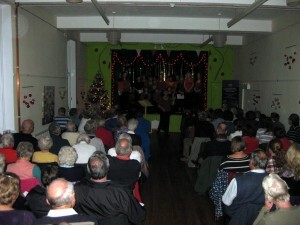 Together we raised a fantastic £630 for Somerset children’s charity STAR. How could HAROLD help you? Hinkley Alternative Routes Operating Local Diversions (HAROLD) provides a set of alternative routes which will be used on local roads in the event of a traffic incident whilst Hinkley Point C is under construction. The alternative routes depend on where the incident location. Take a look at the leaflet to find out more. The art group meets on Monday afternoons from 2 pm to 4 pm in Otterhampton Village Hall in Combwich. We are a casual, friendly group who meet to draw or paint and have a chat about matters of art or otherwise. The group was formerly run and genially tutored by John Bailey, who is enormously missed. John brought his own vast experience and skills to a bunch of would-be artists of varied ability and style, advising, demonstrating, pushing us to apply ourselves – and all with great humour and sense. He always found good things to praise in any attempt, but would not let us off the hook all the same. None of us will ever forget his pet themes – tone is all important (don’t just outline), don’t use the rubber, be looser. We drew with our dominant hand, our wrong hand, with our eyes shut. We drew him, each other, objects such as his viola da gamba (a true challenge). We invented, copied pictures and tackled perspective. We are all the better for it. We now continue to practise these skills on our own work, but are also occasionally inviting local artists in to tutor one-off sessions to broaden our horizons. These may be demonstrations or workshops in a variety of media and styles. 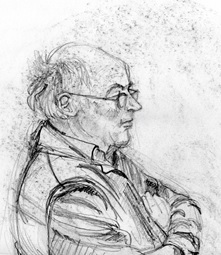 For example, artist Richard Brazier took a session in October ’15. We may also organise art-related outings from time to time, such as a visit to an Arts Weeks venue recently. 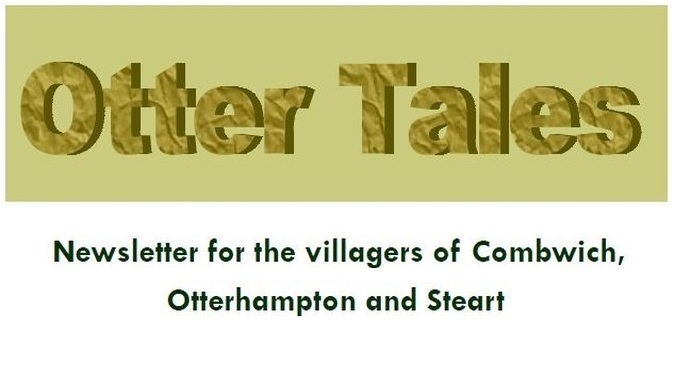 Anyone with a couple of hours to spare on Monday afternoons is welcome to join us. Just pick up a pencil and come along – no special ability necessary! We provide our own materials, but these can be as basic or varied as you like.